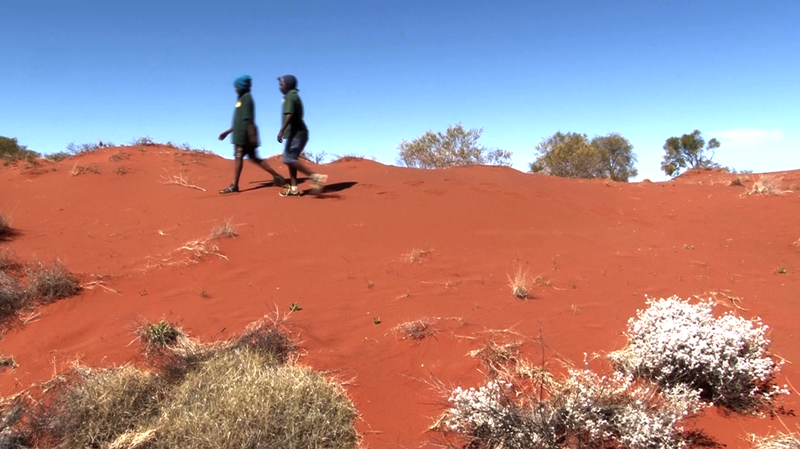 For the second consecutive week a film-maker from NG Media has been working with students from the Ngaanyatjarra School to make a film. This week it was the turn of students from Blackstone and deciding on 'suspense' as the genre of their film, they have come up with a story called "Two Lost Boys". Shooting has now finished and the job of editing lies ahead. Like the Warburton film also shot this month, the Blackstone film will premiere at the Desert Dustup Festival in Warburton in September. The third film in the series will be made in Warakurna. It has now been postponed until later in the year. Thanks to Clive Walker for all his hard work during the week and to the students for keeping at it during some trying days. Additional funding for this project has been received from the Community Broadcasting Foundation and all films will be broadcast on ICTV.